Early mornings, late-night practices and school deadlines are a few of the struggles student-athletes face. Enrolling in college can be nerve-racking as young adults are learning how to adjust to independent student life. For student-athletes, obtaining a busy school and sports schedule can cause one to question the ability to make room for a social life. Vincent Zavala, junior biology major, said he became a part of the wrestling team his freshman year of college. As a student-athlete, he had not anticipated one of the most demanding and exhausting semesters of his academic career. 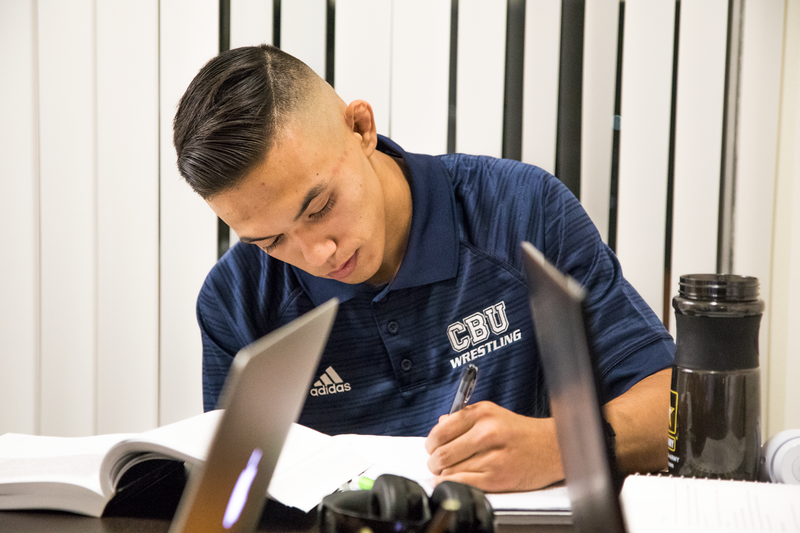 During his challenging semester, Zavala said his grades dropped drastically so he decided to take a break from his time on the mat. During his self-appointed off-season, Zavala wrestled his way back into good academic standing. Zavala said he rejoined the wrestling team after determining that the burden of late-night practices and school work was worth being a wrestler for the Lancers. Other athletes such as Tiena Afu, junior sociology major, said they have learned to embrace all the difficult demands if that means acquiring a position on the Lancer basketball team. Coaches and teammates can be vital to student-athletes’ success. College athletes can seek out each other and their mentors for motivation and support. When genuine relationships are built, it can help strengthen the entire team to guide them through their personal and academic lives. Jarrod Olsen, head coach of women’s basketball, said he believes athletes face the challenge of time management, but the athletes on his team take the opportunity to prioritize what is most critical to them. Student-athletes balance college life by treating their respective sports as if they are full-time jobs. With constant training on and off the field, athletes re-evaluate which priority comes first. Although at times it can be strenuous, they can consciously make the choice to endure the stress as a positive influence in their academic lives. Does music affect my mood?